El Al Airlines and the Israeli Finance Ministry signed an agreement on Monday afternoon that ended a one-and-a-half day strike by all three Israeli airlines and prevented a wider work stoppage that would have frozen all activity at Israel’s only international aerial gateway, Ben-Gurion Airport. Click photo to download. Caption: An El Al plane. Israeli airlines ended their strike on Monday afternoon. Credit: AF1621/Wikimedia Commons. According to the agreement, the details of which were hammered out by Finance Ministry employees and El Al representatives, the government will cover 97.5 percent of El Al’s security costs. It previously covered 80 percent of those costs. This amounts to $20 million annually, starting in the summer of 2015, when the recently approved “Open Skies” agreement between Israel and the European Union is fully implemented. Over a five-year period, the Open Skies agreement lifts restrictions on European airlines serving Israel, thus lowering prices and increasing tourism. Opponents of the agreement, however, charged that it would result in widespread layoffs because Israeli airlines will struggle to compete with European companies. 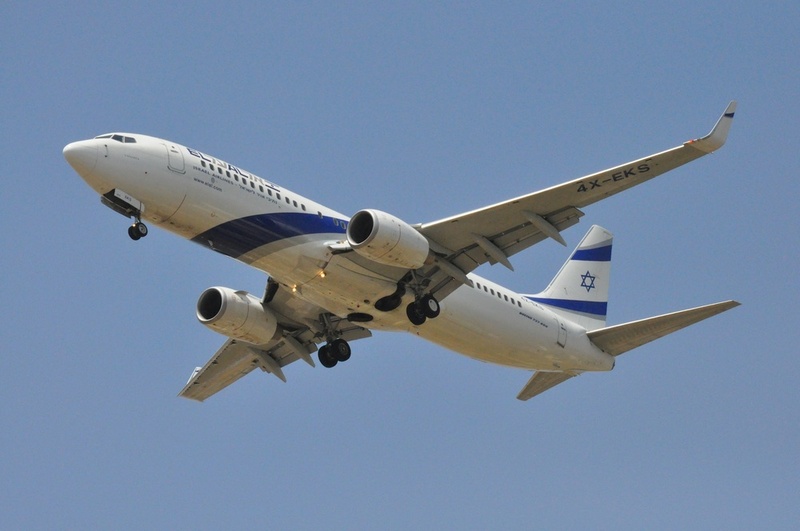 In resolving the stirke, the Israeli government acknowledged El Al’s special needs, resulting from the airline’s heightened sensitivity to terrorist and other security threats. According to the deal, the Israeli government agreed to fund the security costs of all three Israeli airlines—El Al, Arkia, Israir—starting in 2018, an estimated 130 million shekels ($35.8 million) per year. Over the next three years, the government agreed to inject an additional 5 million shekels ($1.3 million) annually into Israeli airlines to cover additional security costs that would result from the Open Skies agreement. Still, Edri’s apology did not come without a warning. “If negotiations with the government don’t progress, we maintain our right to continue our struggle,” he said. Federation of the Israeli Chambers of Commerce President Uriel Lynn welcomed El Al’s decision to end the strike but said the Histadrut labor federation’s threat to expand the strike to Israel Airports Authority employees was harsh. A wider shut-down would have paralyzed all activity at Israel’s airports, and Histadrut Chairman Ofer Eini said he was mulling whether to call on sea ports and railway employees to strike as well. According to Lynn, the Histadrut was trying to bully democratic national institutions and deny their independence in setting economic policy. Lynn pointed out that his organization did not direct the petition that was filed with the National Labor Court against El Al employees. “The Federation of the Israeli Chambers of Commerce wishes to emphasize that the petition submitted today to the National Labor Court did not apply to the strike of El Al workers but merely to the intention of shutting down a national authority that is an absolute monopoly, and is thus required to provide an essential service to the entire public,” he said. Lynn also addressed the issue of the agreement made between the Finance Ministry and El Al on financing of security costs, saying the agreement was a move in the right direction, requiring El Al to become more efficient across all strata of management, and that it was important that upper management set an example for all employees. This story was originally published by Israel Hayom and is distributed with the permission of that newspaper. Posted on April 23, 2013 by JNS.org and filed under Israel, News.